Some couples do not want children at their wedding receptions. The reasons for planning a wedding this way may range from trying to lower costs by trimming wedding guests from the list, to simply not wanting to put up with potential melt-downs or fits of hyperactivity on the part of children at wedding reception. The debate on this topic can get fierce. Some people argue that it it is rude and improper to exclude the younger members of a family that is on the wedding guest list. Kids are people too, right? Some insist that weddings are all about family and the circle of life, and that eliminating children from attending the wedding is therefore inappropriate if not counter-intuitive. If you are thinking about the option of an Adults Only wedding reception… if you’re getting reading to announce “No kids at wedding!”, its critically important that you consider the matter carefully and realize that some may find this to be offensive, ungracious, or downright cold. Weddings are not typically adult only events – in fact, throughout history, children have played an important role in the symbolism associated with weddings – and therefore some might be offended that you are dictating that they must leave their little ones at home. Indicate that the reception is to be adults only by having the words “Adults Only Reception” or “Adult Reception” printed along with the reception location and time on the invitation. •Do not use phrases such as NO KIDS, NO CHILDREN, etc. The only correct wording is Adult Reception or Adults Only Reception. •This information should be printed by the printer on all invitations. You must never write ANYTHING by hand onto the invitation itself – whether it pertains to this or any other matter. Doing so is considered socially incorrect (in other words, tacky!) and inappropriate. •If you are excluding some children, the rule is that you must exclude all children. There must not be different rules for different people or some individuals will be deeply offended and hurt – and rightly so. The only possible exception to this would be any children who are in the wedding party. However, the jury is out in this area. While some wedding etiquette experts feel that it may be alright to make this exception, there is a stronger belief that if the reception is to be adults only, no children should be included as part of the wedding party. Otherwise, parents of children who were not allowed to attend may feel slighted that clearly some exceptions are being made to allow children, while they were instructed to leave their kids behind. You may be think this to be a little unfair. After all, you are probably very familiar with the children in your wedding party and you probably selected them on the basis of their exemplary behavior in public, while the same may not necessarily be true of the other children. It is for this precise reason that the jury, as I stated, remains out on this one. Give it some careful thought and if unsure, err on the side of caution by ensuring that no children really means NO children to avoid appearing offensive to any of your guests. If cost issues are the reason you are contemplating the Adults Only route, keep in mind that the cost of feeding a child at the wedding will be considerably less than the cost to feed an adult. Most caterers or reception sites have children’s menus from which they will serve kids under 12 years of age, typically at a dramatically lower cost. Many caterers will not inform you of this unless you specifically ask about it. Inquire with your caterer about the availability of child’s plates. This may solve the entire dilemma for you so that everyone can end up happy. And what if someone does show up with their children, despite it all? Do you say something to them? Do you send someone over to ream them out? Don’t even dream it. What good would that possibly do? Done is done. No sense in creating an unpleasant, uncomfortable situation. 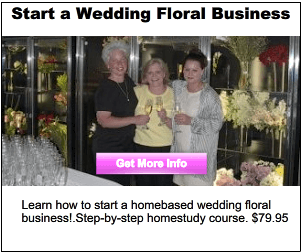 Nothing could be more unbecoming of a bride, groom, or host. Over my many years as a wedding planner, I’ve seen that the debate on the subject of the adults only wedding reception can get absolutely fierce. People have strong feelings about this – on both sides of the debate. What are your thoughts on it all? Be the first to comment on this sticky subject! Linda Kevich is an internationally recognized wedding expert, a syndicated columnist, and the creator and editor of SuperWeddings.com. She has been a professional wedding planner and stylist for two decades. 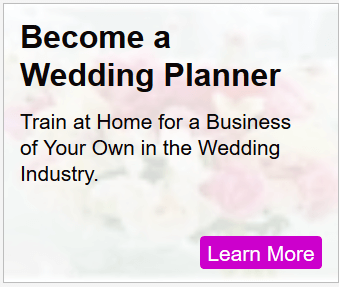 She is the developer of an international certification program for wedding planners which has been one of the leaders in the field of wedding planner training since 1999. She offers expert advice about all aspects of weddings through her Wedding Expert column. Have a wedding etiquette question? 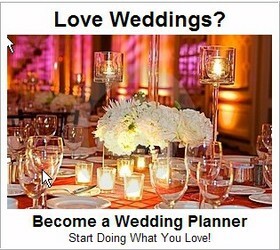 Ask the Wedding Expert!